Quickly alert staff to a patient’s allergies. 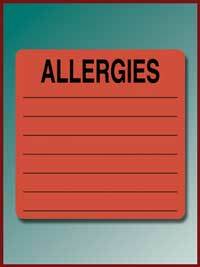 Seven lines to list multiple allergies. 2 ½” wide by 2 ½” high. Fluorescent red. 390 per roll.